Bake for 20 minutes or until toothpick comes out clean! 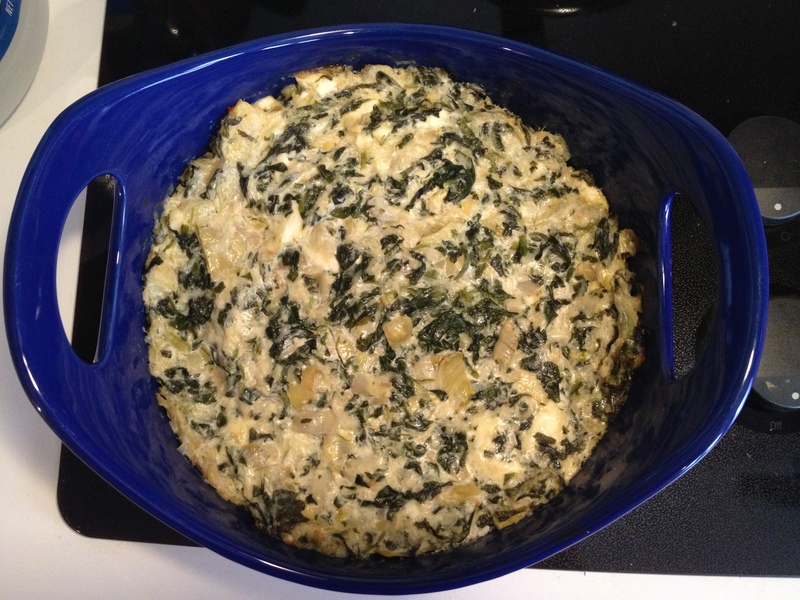 In addition to banana pudding, I also made spinach artichoke dip for the lab BBQ. I couldn’t find my mom’s recipe, but I found a very similar, highly rated, recipe on food.com. The dip turned creamy with a great flavor. It also looks pretty. I’ll make it again. 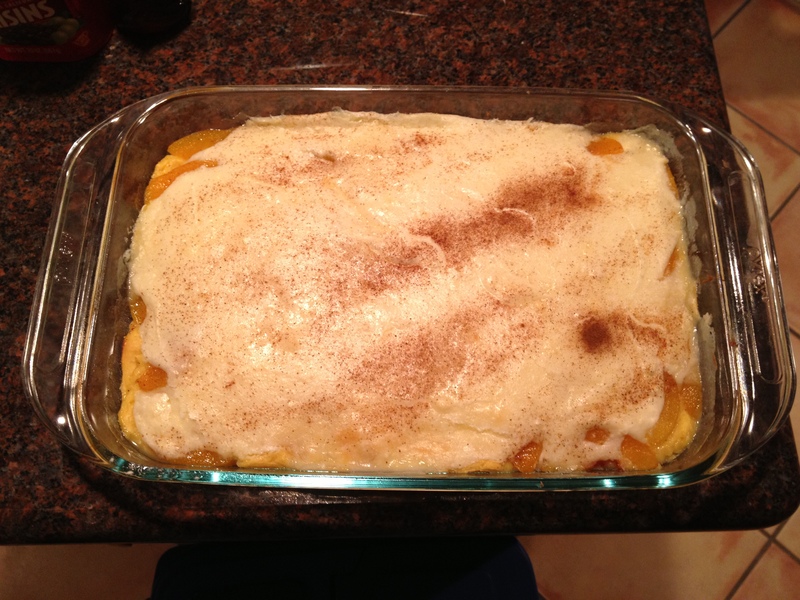 I made my great-great-aunt’s peaches and cream pie to take in to work tomorrow. I doubled the recipe and put it in to a 9 in. by 13 in. dish. This is one of my favorite desserts. The crust contains vanilla pudding making it moist and flavorful. The filling consists of cream cheese and peaches, hence the name of the pie. Grease the bottom of a 9 inch pie pan. Beat the flour, salt, instant vanilla pudding, baking powder, egg, and milk in a large bowl for one minute or until well mixed. The mixture should be a soft, sticky dough. Spread the mixture into the bottom of the pie pan. Place the peaches evenly on top of the pudding mixture. 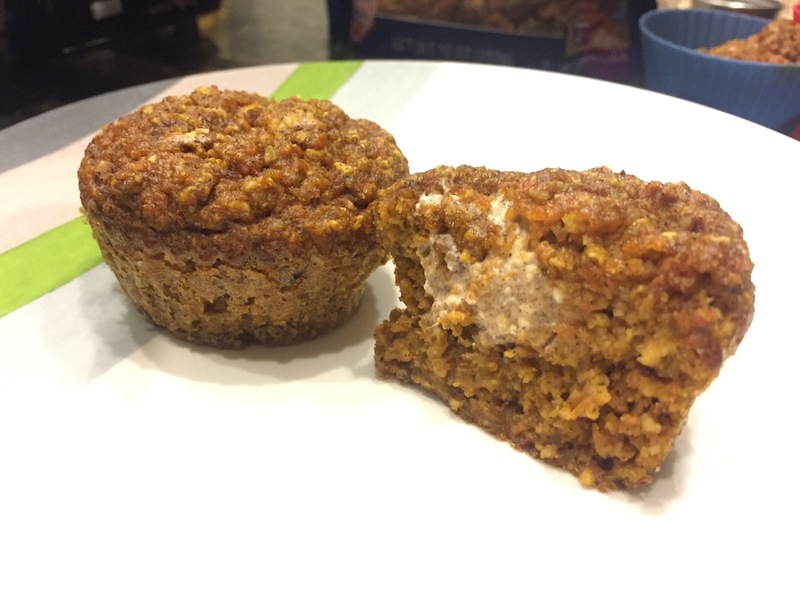 Mix the cream cheese, peach juice, and sugar on medium speed for two minutes or until smooth. Spread the mixture over the peaches but not all the way to the edge of the pan.